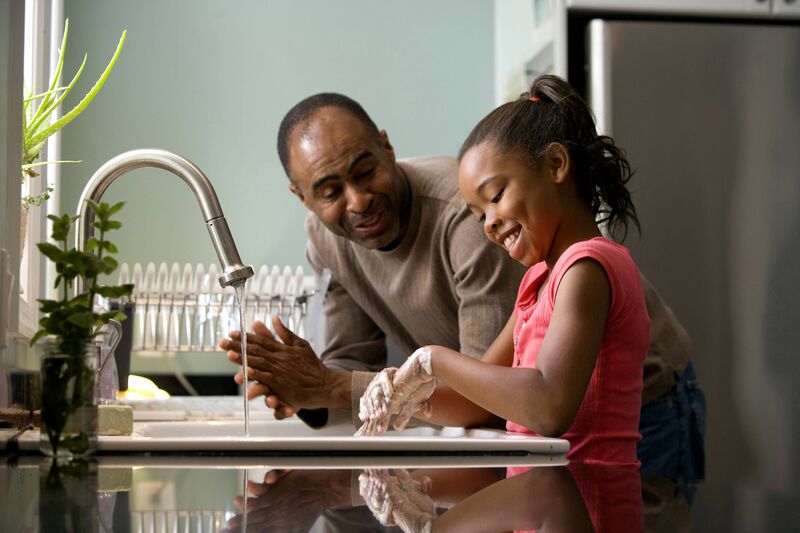 Are you having trouble instilling the clean habit of hand washing in your stubborn little one’s life? Then you are yet to discover these simple and proven techniques that turn the task of hand washing into a fun-filled experience. These nifty tricks encourage your little one to get rid of germs and dirt playfully. Now see how he cooperates without any commotion. ‘Wash, wash, wash my hands / Make them nice and clean. Positive reinforcements like reward and appreciation bring not only kids but even adults up to speed. An activity chart with Star Ranks can be placed near the hand-wash area. You can reward your kid with a shiny star-shaped sticker on the chart when he/she has cleaned up nice. A few weeks later the kid is sure to develop a sense of achievement as a proud owner of a starry report sheet. Beautiful birds, colourful flowers, attractive animals or cartoon character soap bars… the super markets store it all. A fun soap piques the interest of a child and woos him/her to wash hands almost instantaneously. Washing hands by soap and water is also proven to be more effective and hygienic than alcohol-based alternative of hand sanitizers. While you are preparing to teach your child about germs and dirt, the use of a Glo Germ gel emerges as a boon, which is easily available at Amazon or any other online store. The gel is to be applied prior to hand wash, after cleansing the hands are held under light. The residual germs glow and reveal the areas that weren’t washed well. The usage of this gel each time will train your kid to examine his/her hands regularly. Teaching your kid hygiene is no more a hassle when you have these 4 smart tricks under your hat! ← Pasta as a healthy breakfast? Say yes, with this quick & easy desi recipe!